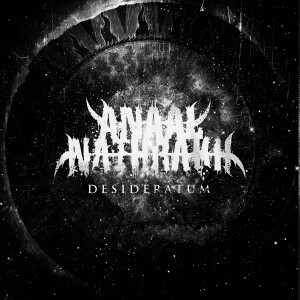 Anaal Nathrakh - Desideratum on Broken Amp. Anyone who has listened to Anaal Nathrakh’s entire discography from The Codex Necro onwards will find an increased focus on clean vocals and melodic guitar work creeping in. 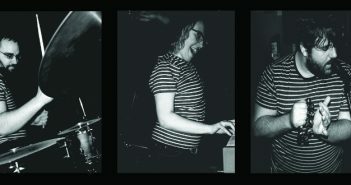 Desideratum continues in much the same trend as their later albums. This trudge towards an evermore melodic sonic template, on a few occasions, begins to provide an annoyance. Initially, the album begins with instrumental track ‘Acheronta Movebimus’, which features an intertwining of wailing and crying with the first riffs of the album, attempting to evoke the journey aboard Charon’s damned vessel. The track name translates roughly as “We’re going to move the Acheron.”  Problematically, or not depending on your stance, the accompanying riff sounds like it could have come from Suffer Well, Mick Kenney’s defunct metalcore project with Brandon Schieppati of Bleeding Through. It is a shame that Kenney’s metalcore work with the above-mentioned and Motionless in White should bleed into this album this much, as it is glaringly obvious that Anaal Nathrakh isn’t a metalcore band. Attempts to shoehorn this style in sound shockingly obfuscating, whilst previous albums which have contained this style, in my opinion, haven’t felt as maligned. It takes until 2:45 for the aural carnage that differentiates a generic atmospheric metal instrumental from an Anaal Nathrakh instrumental to take hold, when a pulsating, electronic passage (one of the many results of the publicised collaboration with breakcore DJ Gore Tech) swirls against the main riff for your attention. The Gore Tech collaboration will be divisive; some who recognise and revere the DJ’s work will pick up on every sample, others who dismiss that genre will allow it to intertwine with the music and consider the whole presentation. It is unlikely to put listeners off, but the amount of attention that it garners will depends solely upon the listener’s view on Gore Tech’s work. Track 2, ‘Unleash,’ is a welcome return to the sound that has featured in their last handful of works, the clean vocals sweeping in over the chorus, but comfortably low in the mix so as to not detract from the oppressive sonic template the band are revered for. The anthemic quality of ‘Unleash’ will appeal to anyone who found themselves screaming along to ‘Forging Towards The Sunset’ from Vanitas. From here on in, the album begins to take shape, exposing its many highlights, and unfortunately some flaws that will aggravate seasoned fans. The first 25 seconds of ‘A Firm Foundation of Unyielding Despair,’ consists of an incredibly lazy metalcore riff, which if cut completely would have benefitted the urgency of the song. This riff could have come from any metalcore album from between the late ‘00s – now, and would have been derivative when placed in such a record; here it is both derivative and unwelcome. Unfortunately however, this problem crops up again and again and really affects the flow of the album; the relentless barrage of violence that an opus by Nathrakh should offer is jolted out of sync by these riffs, dragging the listener from the nigredo, emphasising just how unnecessarily obtrusive it is. Changes of pace are entirely welcome within a piece of music like this, but when the riff is as awkward and lethargic as those first 25 seconds, the entire effect is neutered. Elsewhere, the dynamics of the vocals shine, with ‘The Joystream’ being a particularly standout example of a catchiness that Anaal Nathrakh have been perfecting. The song itself constantly pushes for a crescendo with a rising riff that enhances the listener’s enjoyment while we wait in anticipation for all hell to figuratively break loose. If consumed in a single sitting, one notices the transition between songs like ‘The Joystream’ and more full-on blasting type tracks that just erupt from the beginning, this variety within the music keeps the album fresh and ensures longevity. The album shudders between misanthropy and despair, and to its credit, if one can forgive the jolts, Nathrakh offers up a journey into the psyche, taking the listener to a very dark place. For the main body of this album, the band plies their trade in dark atmospherics, which constantly augments the oppression. The name of the album, Desideratum, translates as “that which is desired,” a choice which ties it into as well as providing a philosophical bookend for the previous two albums, Passion and Vanitas. The nihilistic classical interpretation of ‘vanitas’ that the band utilised – vanity as a useless pursuit, offered alongside “passion” – invokes a narrative of the impotency of humanity. Passion and vanity lead to desire, but we already know that vanity is in itself flawed. Consequently, Anaal Nathrakh are questioning the point of life, of chasing goals, of having aspirations. If one makes this distinction, and listens to the album accordingly, there is a lot for fans of those works to consume. This album is not The Codex Necro, so fans who have moved on from Nathrakh since the band’s melodic direction overtook the blasting qualities of their earlier sound are unlikely to be drawn back. That said, a return of movie samples in three tracks looks back to Codex… and raises a knowing nod from those who stayed loyal. In contrast, anyone who felt that Anaal Nathrakh’s introduction to Metal Blade’s oeuvre would be a detrimental move, chipping away at the solid structure they have created, will be pleasantly surprised by the result. Much of the band’s heaviness/extremity has been retained, and like many of the best bands who shift their genre, they have built on a successful formula, instead of reconstructing themselves and consequently diluting the finished product. If Anaal Nathrakh set out their mission statement for this album with the title of the first track, and plan to move the Acheron, I must maintain that I wouldn’t bet against them achieving it. However, if the track’s title is to be understood as indicative of the stylistic shift, the naissance of this new Anaal Nathrakh gives Metal Blade an intense, more extreme entry in their catalogue, and they have settled into their new template with all the grace of a falling bomb. 1. One of the five rivers in Greek mythology which lead to the underworld.